This weekend, Disney’s “Zootopia” officially crossed the $1 billion mark in box office ticket sales. This makes it the second film to achieve such success in 2016 (Captain America: Civil War being the other…also a Disney movie) and the 11th time Disney has had a billion dollar movie to date. Disney now also has three of the four movies all time to reach a billion (Toy Story 3, Frozen and now Zootopia). Something tells me there will be at least one more Disney entrant into this exclusive club by the end of the year, but more on that later. For now, we will just keep swimming along. Oh, and Zootopia comes out on Digital HD, Blu-ray and Disney Movies tomorrow, so if you didn’t contribute to the billion, you still have a chance to take home the fun. 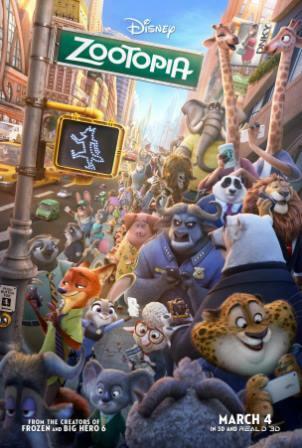 Be the first to comment on "‘Zootopia’ Crosses $1 Billion at Box Office"